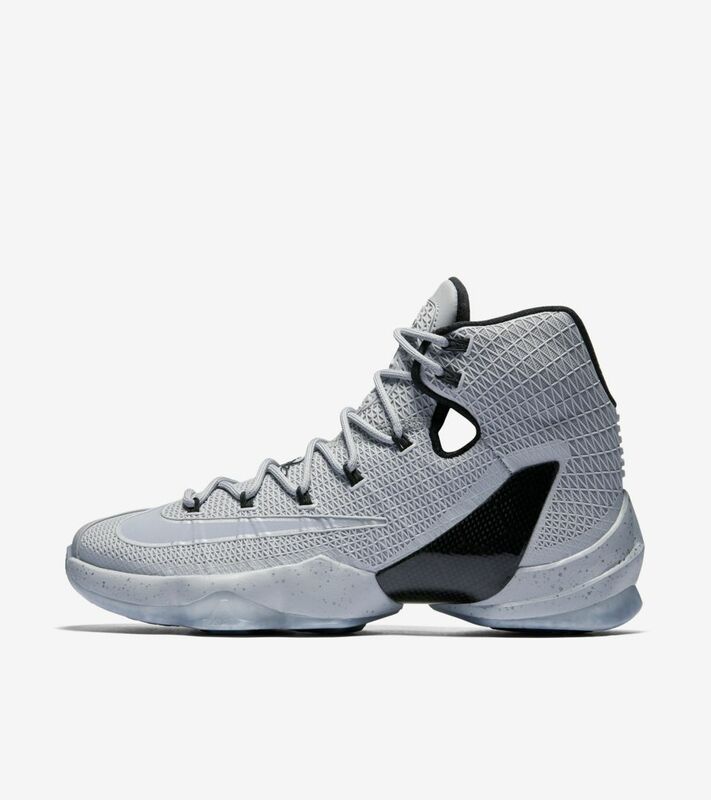 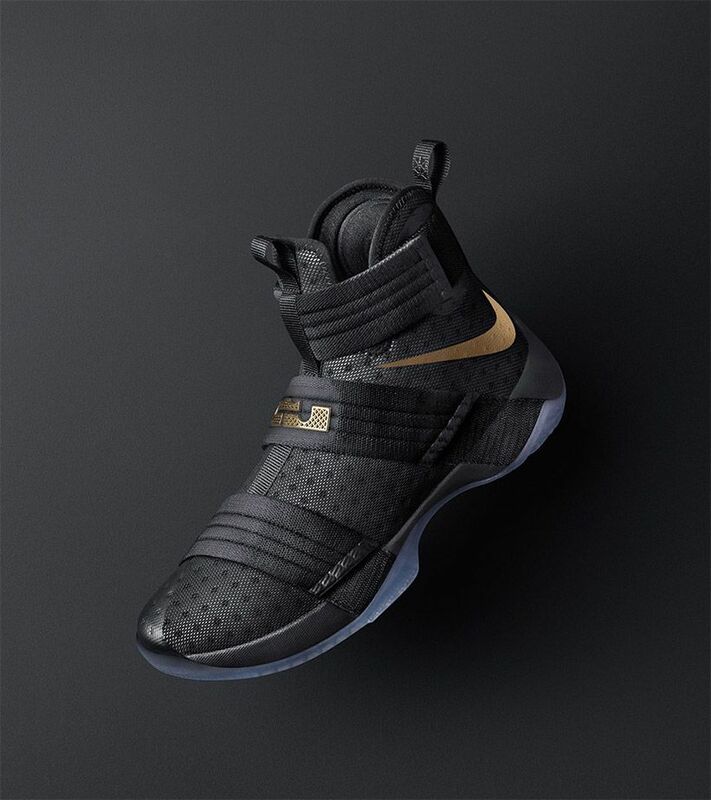 Laced up by King James as he brought championship glory to Cleveland, the Zoom LeBron Soldier 10 extends the silhouette’s storied run. 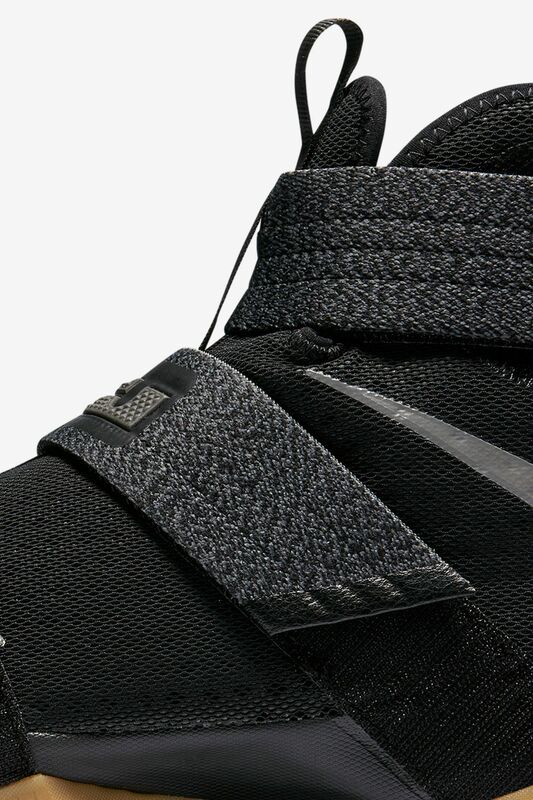 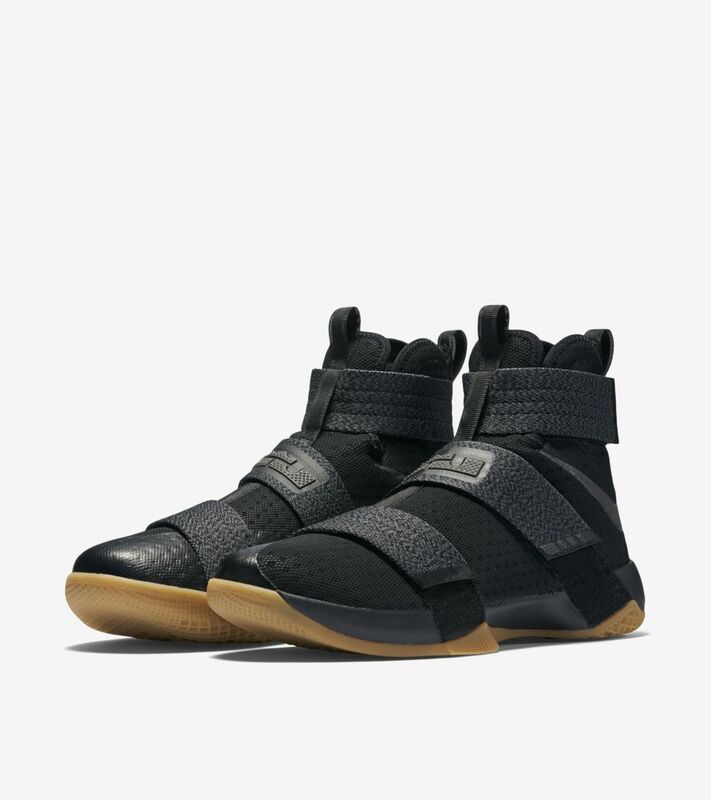 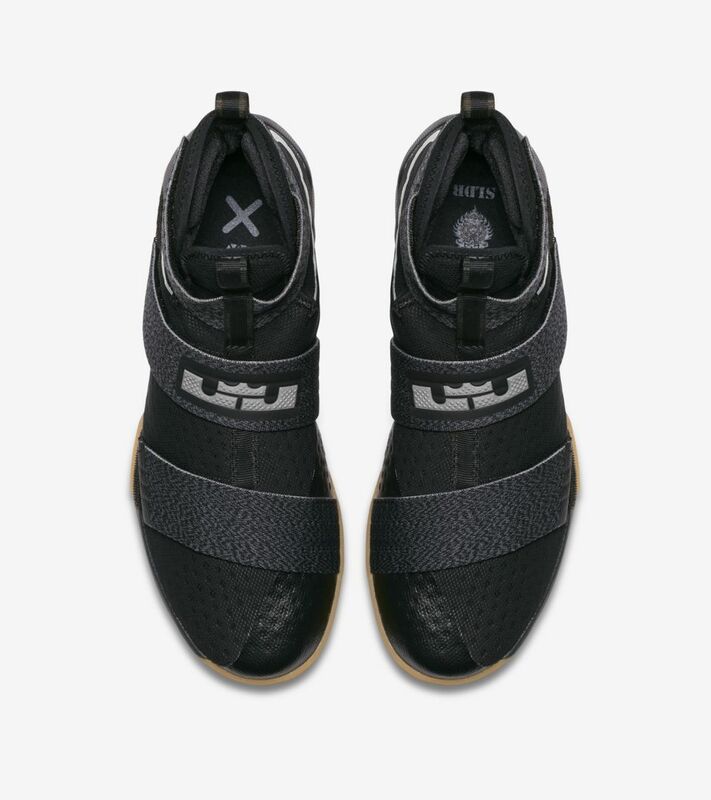 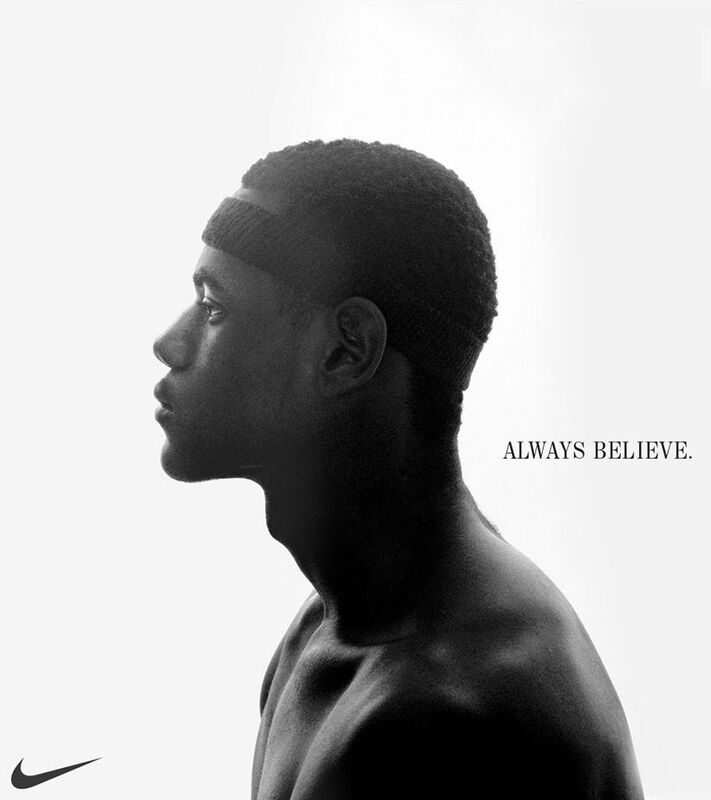 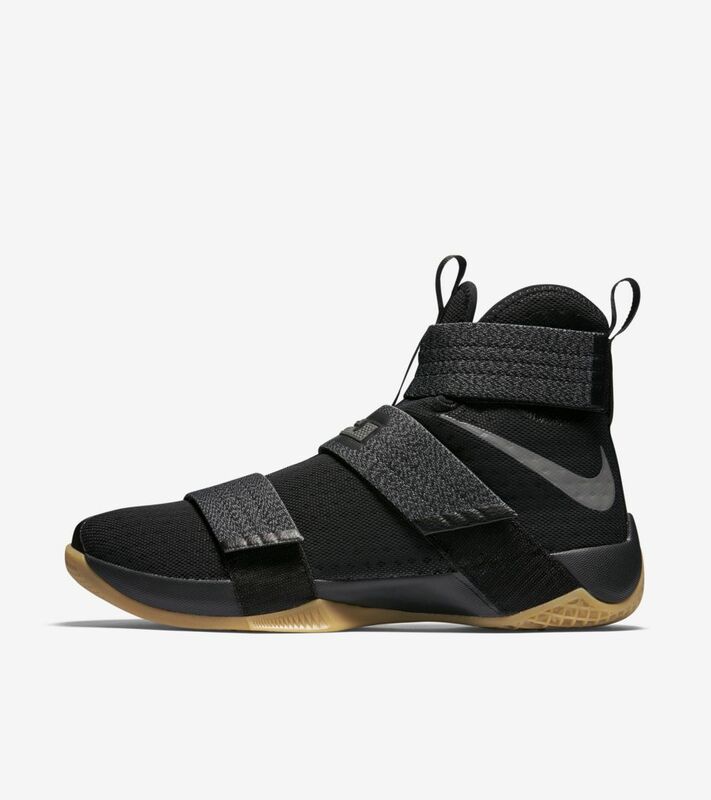 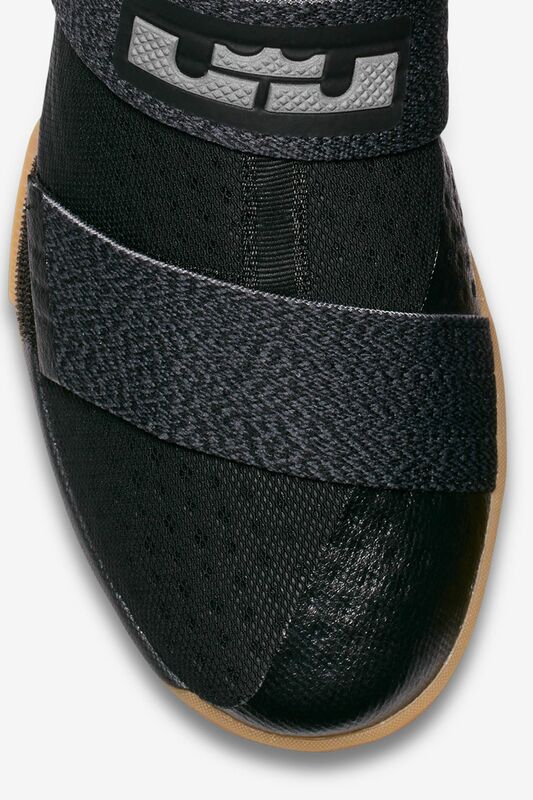 Velcro straps from the toe to the collar eliminate the need for traditional laces, keeping LeBron at his best during his enduring quest for greatness. 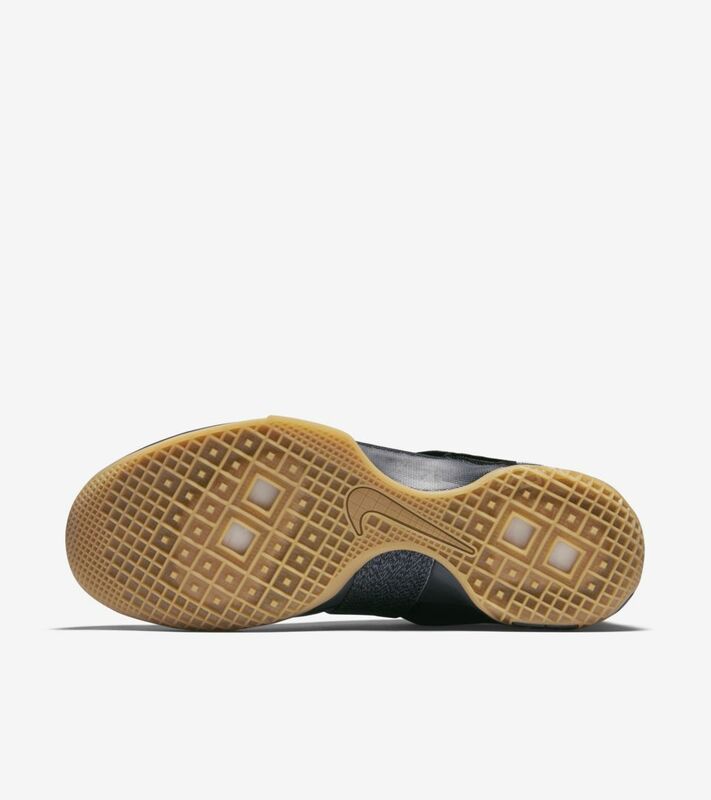 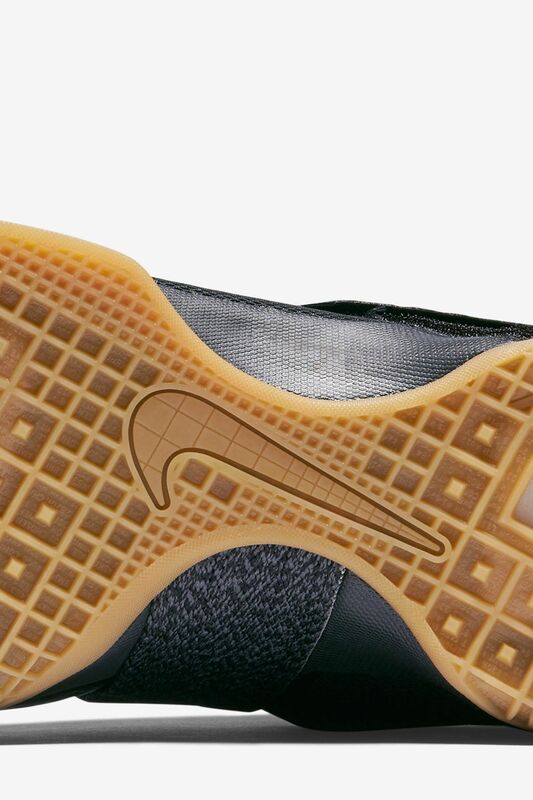 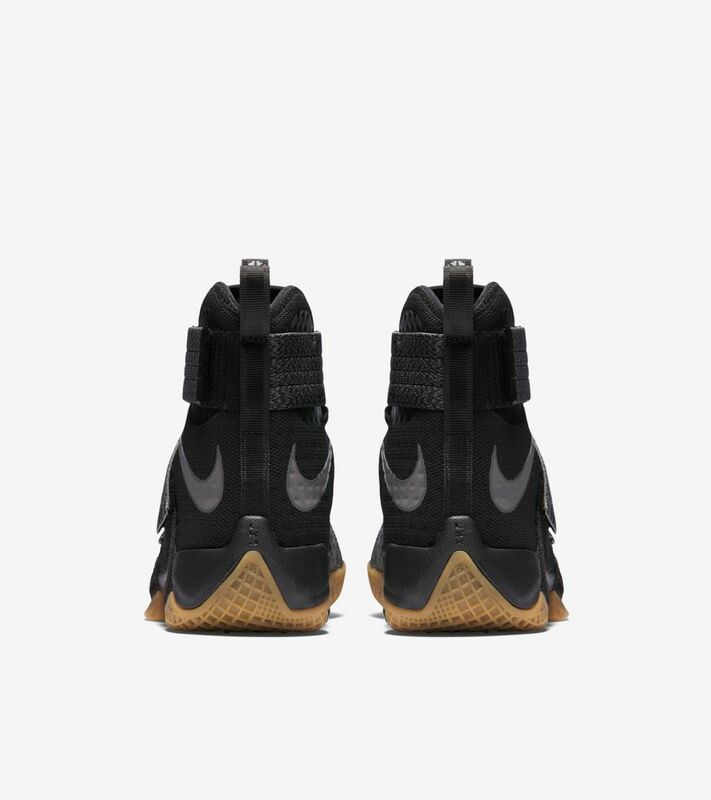 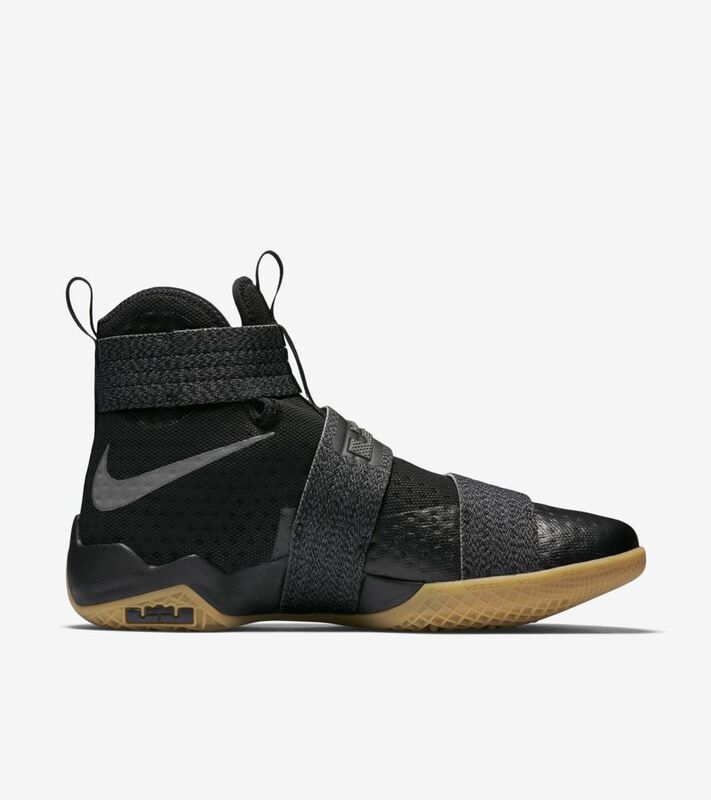 Zoom Air cushioning provides unmatched responsiveness, while a simple black and gum color scheme furthers the sneaker’s stealth demeanor.